What message do you want your brand to send? Do you want to transmit quality or mediocrity? Take advantage of every space, both real and virtual, to look phenomenal. Van wraps and van graphics can be part of a larger strategy. 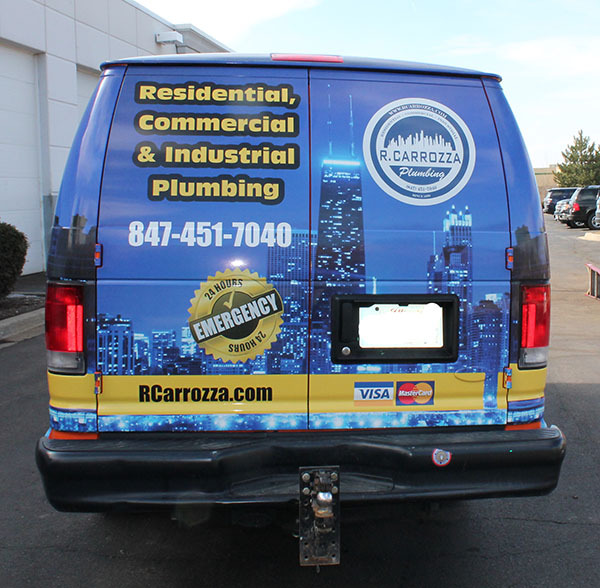 For superior quality fleet graphics in Chicago, contact us or call (630) 289-7082. While your vehicles are cruising around town, make sure you look stellar. 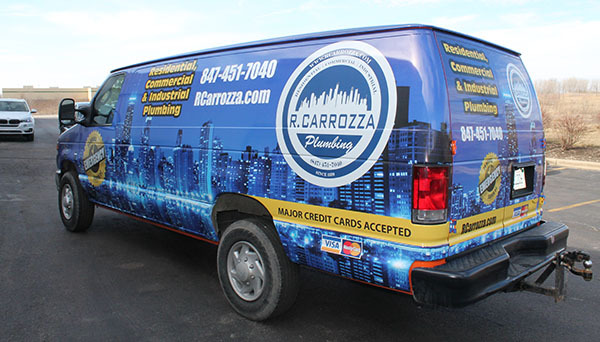 See how R. Carrozza Plumbing Company did it with their van graphics. The quality and message are unmistakable. The cityscape design is eye catching, and the highlights of their business stand out prominently. In a nutshell, these are the key bits of information potential clients need to get to know you. s to your website, they should feel the same spirit behind both. 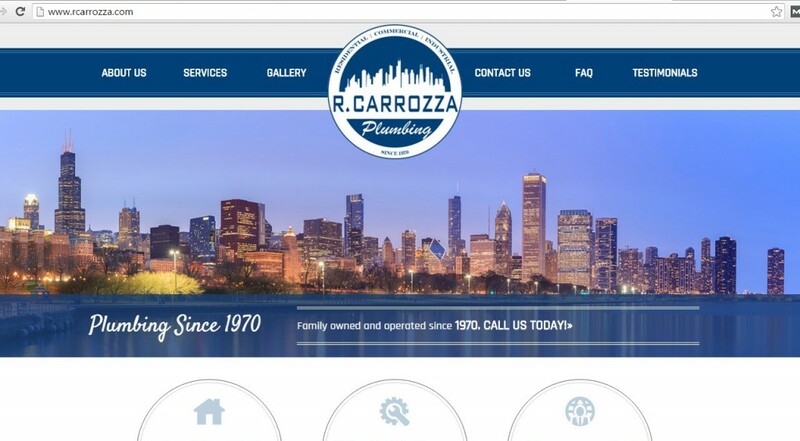 See how R. Carrozza’s website matches the van graphics message. The logo, the skyline – everything falls into place to make visitor feel at home. The beauty of fleet graphics is that the public sees your message over and over again. These days, even TV commercials have a tough time since we can easily change the channel. But out on the road, your message is certain to reach the eyes of every passerby. For this reason, high quality imagery tells the viewer that your service is high quality as well. Take a look at the tailgate on this van wrap job. Think someone waiting in traffic can ignore this message? Probably not.